esenciasurfschool.com is an Internet domain owned by Esencia Surf School C.C. Hercules, Local 18 11130 Chiclana (Cádiz) B-72315195. The Portal fulfills the function of general information and attention to the citizen in the terms of what is established in article 4 of Royal Decree 208/1996, of February 9, which regulates the services of administrative information and attention to the citizen, having merely informative character and without any binding legal effect in any case. 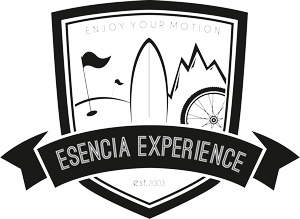 All the contents of the portal, texts, graphics, images, their design and the intellectual property rights that may correspond to said contents, as well as all brands, trade names or any other distinctive sign are the property of Esencia Surf School or its legitimate owners, all rights reserved on them. Any act of total or partial reproduction of the contents, in any form or medium (mechanical, electronic, reprographic or of any other type), as well as any act of dissemination, public communication or distribution, without the prior written authorization of Esencia Surf School or its legitimate owners. According to the provisions of articles 8 and 32.1, second paragraph, of the Law on Intellectual Property, the reproduction, distribution and public communication, including the way it is made available, of all or part of the contents of this web portal for commercial purposes, in any support and by any technical means, without the express authorization of Esencia Surf School. Access to the content portal of Esencia Surf School and the use that may be made of the information it contains are the sole responsibility of the user. Esencia Surf School will not be held responsible for any consequence, damage or harm that may arise from the use of this website or its contents, including computer damage and the introduction of viruses, with the exception of all actions resulting from the application of the provisions legal rights to which the strict exercise of their powers must be submitted. Esencia Surf School can not guarantee that there is no specific error in the contents of its pages. If there is one, Esencia Surf School will take the necessary actions to avoid errors and repair or update them in the shortest possible time. The information disseminated by this means is for informational purposes only, reserving to Esencia Surf School the right to eliminate or suspend its dissemination, in whole or in part, and to modify the structure and content of the portal without prior notice, including limit or deny access to said information. The objective is to maintain the quality and updating of this information and to avoid and minimize possible errors caused by technical failures. However, Esencia Surf School does not guarantee that this service can not be interrupted or affected by these failures. The responsibility for the use of the portal rests with the user. If it is necessary to make some type of registration to access certain contents of the portal, the user will be responsible for providing information and legal and truthful data. In this process, the user is provided with a password from which they will have to make diligent and confidential use. The user undertakes to make appropriate use of the contents and services in accordance with what is stated below, not using them to: engage in illicit activities, illegal or contrary to good faith and public order; disseminate content or propaganda of a racist, xenophobic, pornographic-illegal nature, advocating terrorism or attacking human rights; cause damage to the physical and logical systems of Esencia Surf School, its suppliers or third parties; introduce or disseminate in the network computer viruses or any other physical or logical systems that are capable of causing the aforementioned damage; and / or try to access and, where appropriate, use the email accounts of other users and modify or manipulate their messages. Esencia Surf School reserves the right to withdraw all comments and contributions that violate respect for the dignity of the person, that are discriminatory, xenophobic, racist, pornographic, that attempt against youth or childhood, order or public safety or that, in his opinion, they are not suitable for publication. In any case, Esencia Surf School will not be responsible for the opinions expressed by the users through the forums or other participation tools that could be developed. The total or partial reproduction of the contents of the Portal is prohibited without mentioning its origin or requesting authorization.